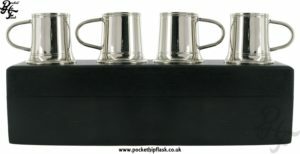 Here at The Pocket Hip Flask Company we understand how much our customers like to share with their friends and family. 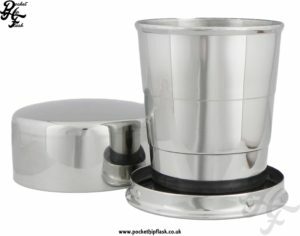 This is why we offer some lovely stainless steel cup sets to help you on your way. 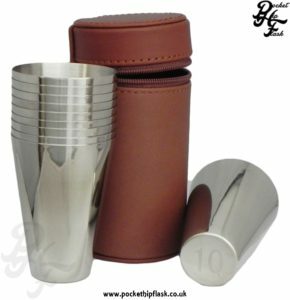 Each of our hip flask cup sets comes in a leather case. 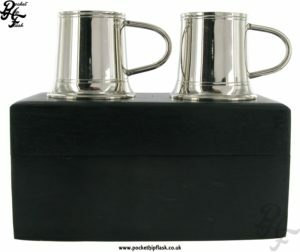 We currently have brown and black leather sets as well as different sized cups. We hope our hip flask cup sets will be just want you are looking for when you want to share your favourite drink with your friends. 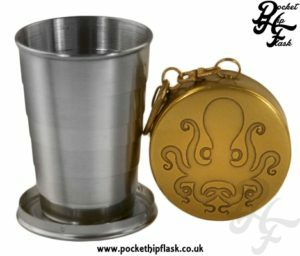 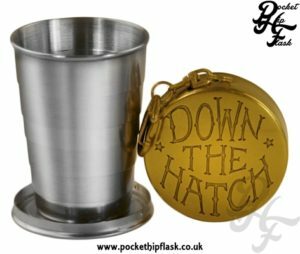 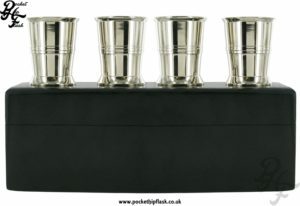 Hip flask cups are a great way to share your drink as well as add mixers to your favourite hip flask Here at The Pocket Hip Flask Company UK we understand our customers need for variety. 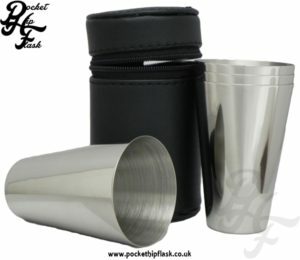 We stock a wide choice in stainless steel hip flask cup sets that go nicely with your new hip flask. 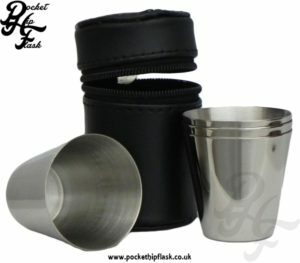 Our hip flask stainless steel cup sets come in a variety of different sizes to suit your every need. 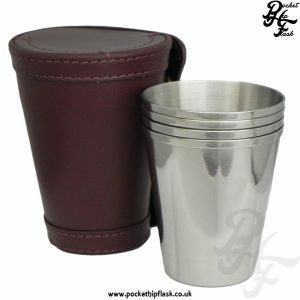 Our hip flask cup sets also come in beautifully crafted leather cases insuring your new cups are easy to carry and safely stored these leather cases come in several colours including brown and black standard leather. 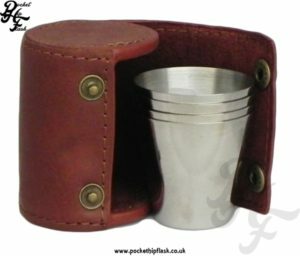 We also stock a beautiful range of hip flask cups in Spanish leather cases. 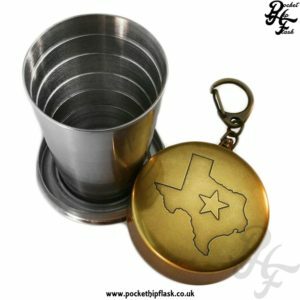 For the person who likes to save on space then our collapsible cups are ideal for you, they come in funky patterns and are easy to store away. 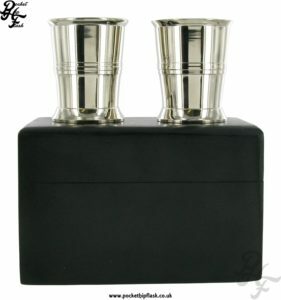 will go wonderfully with your new hip flasks, hunting flasks or travel flasks.